July 30, 2018, 2:30 p.m.
New YouGov Omnibus research underlines how successful Superdrug’s sponsorship with ITV 2 smash show Love Island has been. 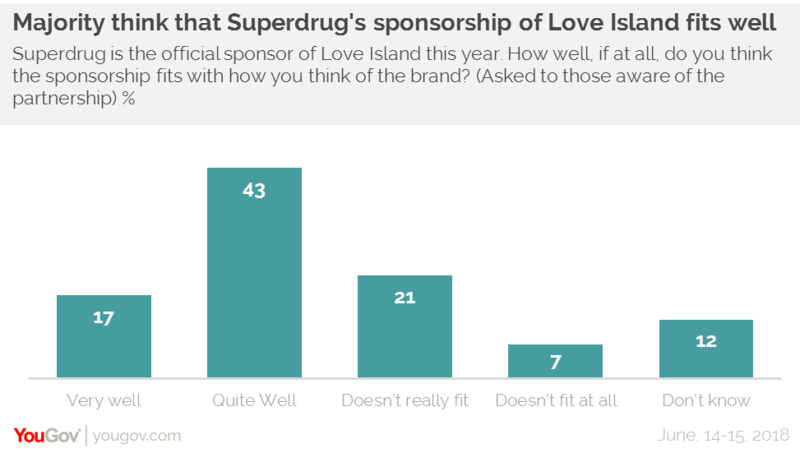 The data indicates that while just one in ten (9%) of the general population could identify Superdrug as Love Island’s official sponsor, this number rises to 52% among those that have seen the programme. Other guesses included Jet2Holidays (6%) and Missguided (2%). Added to this, among those aged 18-24, 29% could identify Love Island as the show’s main sponsor, while 18% of 23-34s could do likewise. Notably, of those who use the social media service Snapchat, three in ten (30%) knew that Superdrug is the main sponsor. Is the partnership a good fit? Of those that are aware that Superdrug is the main sponsor, six in ten (60%) believe that the partnership fits well, with only 28% disagreeing. Again, those that are aware of the deal and also Snapchat users are more enthusiastic, with 71% thinking it fits well. Interestingly, impact on brand warmth rises with age. One in six (17%) 18-24 year olds said the partnership made them feel warmer towards Superdrug, a proportion that rises among those aged 25-34 (20%) and again with the 35-44 age group (23%). The proportion rises to a quarter (25%) amongst Love Island viewers. And while shifting perception with any ad campaign or brand tie-up is always difficult, there are signs that Superdrug has achieved this with a proportion of those that are aware of the sponsorship. One in five (19%) of this group say the tie-up makes them think Superdrug is a brand for them – 33% neither agree nor disagree, while 42% are unmoved by the campaign and disagree. This number rises among Snapchat users (22%), and those aged 24-35 (22%). 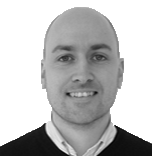 One negative for the brand is that for the majority or those aware of its sponsorship, Superdrug’s efforts haven’t necessarily stood out from those of other brands that have invested in the show. While 19% say Superdrug’s efforts have stood out, 36% believe they haven’t, while 35 neither agree nor disagree.